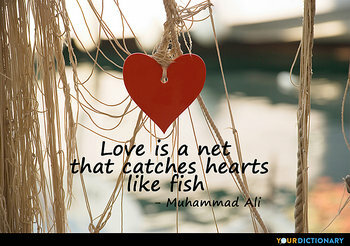 Love is a net that catches hearts like a Fish. 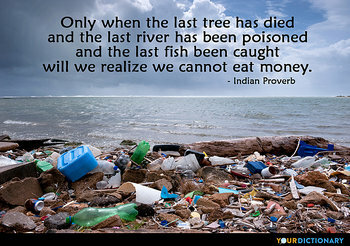 Only when the last tree has died and the last river has been poisoned and the last Fish been caught will we realize we cannot eat money.  1936 Permanence and Change. The bird on the branch, the lily in the meadow, the stag in the forest, the Fish in the sea, the countless joyful creatures sing, God is Love. But beneath all these sopranos, as it were a sustained bass part, is the de profundis of the Sacrificed, God is Love.  Walter Scott, The Antiquary, Chapter XI. Fish not, with this melancholy bait, For this fool-gudgeon, this opinion.  William Shakespeare, The Merchant of Venice (c. 1596-98), Act I, scene 1. And besides, Mrs Forthby in the flesh was a different kettle of Fish to Mrs Forthby in his fantasies. In the latter she had a multitude of perverse inclinations, which corresponded exactly with his own unfortunate requirements, while possessing a discretion that would have done credit to aTrappist nun. In the flesh she was disappointingly different.  1975 Blott on the Landscape, ch.3. They can't concentrate, they don't have stamina, and they aren't creative. They are all Fish. I am pretty health-conscious, so when my girlfriend and/or I make dinner--no, I don't have a cook!--we choose the healthier options: lean meats, steamed veggies, Fish, etc. Of course, there are always those cravings for the "bad foods" that I do give in to once in a while! What female heart can gold despise? 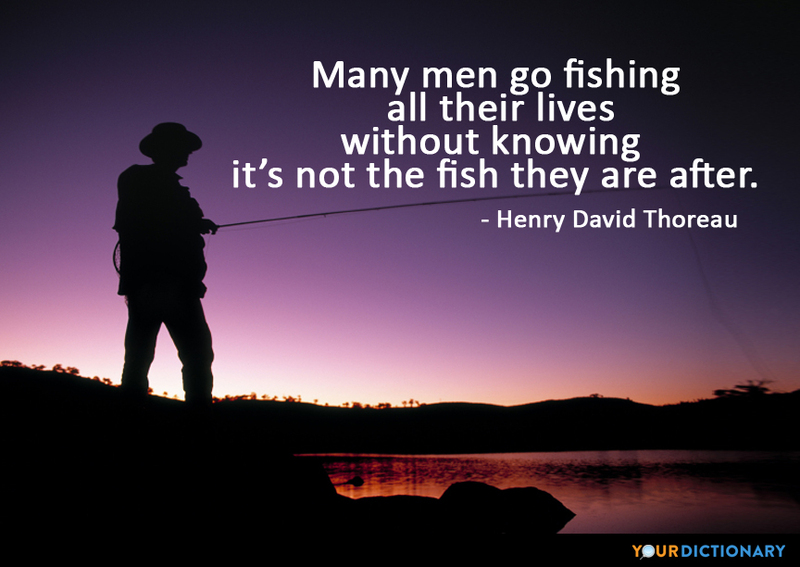 What cat's averse to Fish?  Thomas Gray, On the Death of a Favorite Cat. When you were a tadpole and I was a Fish, in the Palæozoic time And side by side in the sluggish tide, we sprawled in the ooze and slime.  Langdon Smith, A Toast to a Lady (Evolution); printed in The Scrap Book (April, 1906); Reported in Hoyt's New Cyclopedia Of Practical Quotations (1922), p. 241-42. The Fulton Fish Market will be more of an odor than a landmark at this time of day, but it really swings out at four o'clock in the morning - another Timothy 'Speed' Levitch recommendation if you can't sleep and you like Fish. I often sigh still for the dark downward and vegetating kingdom of the Fish and reptile. She is nether Fish nor flesh, nor good red herring.  Part I, chapter 10. Our disputants put me in mind of the skuttle Fish, that when he is unable to extricate himself, blackens all the water about him, till he becomes invisible.  5 September 1712, No. 476. Too often, the pastoralist blames the weeds and seeks a chemical rather than a management solution; too seldom do we find an approach combining the sensible utilisation of grasshoppers and grubs as a valuable dried-protein supplement for Fish or food pellets, and a combination of soil conditioning, slashing, and de-stocking or re-seeding to restore species balance.